ARE YOU A CRAFTER OR A COLLECTOR? WHAT IS THE DIFFERENCE BETWEEN NEED vs. WANT? Now that Halloween has come and gone, we are gearing up for the official holiday season which begins next Thursday with Thanksgiving (and Chanukah). After Thanksgiving, we only have twenty-seven (yes, 27) days until Christmas. This time of year I get so many inquiries about how to transition from Halloween to Thanksgiving to Christmas in an organized way. Recently, I was asked how to combine Fall clean up with holiday prep. The answer is all of these questions is to create a plan. As with any other type of organizing project, you need to start at the beginning and systematically work through the process. 1. Create a holiday notebook. You can use a paper version (such as a binder), an app on your Smart Phone, a bulletin board or any other method that works best for you. Do the "brain dump" and jot down all of your thoughts about the things you need to do to get the job done. This will take the "remembering" out of "remembering" and immediately reduce your stress by providing you with a sense of control and a plan. Cleaning the Home, Decorating the Home (inside and out), Sending Out Holiday Cards, Gift Giving Ideas, Gifts Purchased, Supplies For Wrapping Presents, Preparing A Menu, Guest Lists for Holiday Parties, Budget/Expenses, etc. 3. Create a holiday calendar. Devote a calendar to holiday activities and tasks. Indicate the deadlines you have established for getting things done. Assign a different color to each member of the family so that nothing is missed. This can include chores for the kids to accomplish and invitations for parties. Don't forget to include gift giving to teachers, the mailman and other service providers in your life. What good is purchasing a gift for them if you forget to give it to them? 4. Choose a select few. You cannot accomplish everything at one time. Do yourself a favor and prioritize what needs to be done sooner as opposed to later. Select a few items at a time and focus just on them before moving onto something else. Obviously, it makes sense to clean the home before you decorate it, so don't worry about decorating until the home is clean. Each day that you do this, you will be able to check things off your "To Do" list and move forward. 5. Work with a deadline in mind. Even though you want to start at the beginning of a project, it is best to be aware of your deadline so you can plan backwards. What I mean by that is, for example, if you are having a holiday party at your home on December 21st, you want to make sure that your To Do list for that project is completed by that date. Determining how long something will take will enable you to provide sufficient time to get it done and, therefore, everything will be done on time. In the coming weeks, I will be providing more tips on how to get and stay organized through the holiday season. 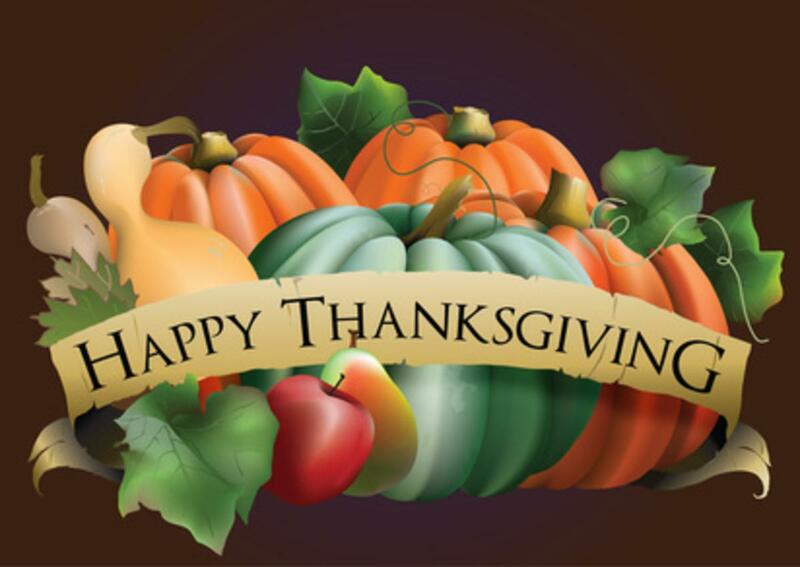 In the meantime, I am sending you best wishes for a happy and ORGANIZED Thanksgiving holiday. I have found over the many years of being a professional organizer, that some people are not sure if they are in need of help from a professional organizer. Do you need help creating an area in you home that could function more efficiently? You might need some space planning ideas. Do you have a room that you avoid entering in your home because of the clutter? You might need a place to start and in need of direction. Do you and your family have difficulty getting out the door in the morning? You might need some time management training. Do you feel like you have too much paper and it's all over the house? You might need a customized paper management system created to meet your specific need. Are you having trouble locating information in your home office? You might need a better filing system installed. Are you so deep in “stuff” that you can’t find any room to store more? You might need to find a new balance in your home for the things you are keeping. Are you paying more in storage fees than the items are worth? You might want to consider downsizing. Are you simply overwhelmed and do not know where to start? You might need a plan in order to move forward and get "unstuck". If you answered “yes” to even one of these questions, you may need to hire a Professional Organizer. I would love to see you maximize the potential of your living space and make sure you are using it, not wasting it. I am here to help you in all aspects of organizing when it comes to your home and your time management. Simply contact me and we can talk about your specific needs. In the meantime, I wish you an organized day! Most of us have a desire to maintain organization in our homes. We strive to keep our homes de-cluttered and organized on a regular basis. Sometimes that is easier said than done. 1. Make it easy. Complex routines that require more than three steps can be difficult to maintain. Create simple routines that are easy for you to manage. Be sure the system works for your current lifestyle. Sometimes it takes some trial and error to find the right solution. Some examples are to get up 30 minutes earlier to allow time to get things done; keep a donation box inside your closet, sort your mail on a daily basis. These are easy but productive ways to stay uncluttered. 2. Do it regularly. To maintain a clutter-free environment in your home, it requires an ongoing process. This is not "one and done". Add some time to your calendar on a regular basis for a specific amount of time (for example 30 minutes a day and 60 minutes on the weekend) to go through your home and put things away. 3. Do what's right for you. Be sure to incorporate the right strategies and tools that work for you. Don't do something just because it's popular. Use techniques that suit your personality. For example, you can use a notebook or perhaps a digital option to remind you to get things done. There is no right or wrong solution. The best solution is the one that works best for you! 4. Put it away not down. It is best to touch something once instead of over and over again. Put things away the first time instead of just laying them down. This will avoid you having to take additional time to put it away later. This will avoid clutter piling up and you will always know where to find something without having to search for it. 5. A place for everything and everything in it's place. I grew up hearing my grandmother saying this all the time. Be sure to have a home for everything. It is much easier to put things away when you have a place to store them. Put items where you tend to use them. 6. Be selective when making purchases. I always teach my client to purchase with intent. Purchases made without much thought have a greater chance of not being used. Attempt to plan out your purchases before you go to the store or order on line. (This applies to groceries, clothing, toys, etc.) Think about where you are going to put the item when you get home. (Other than the kitchen table.) If you are purchasing a piece of art work for your walls, do you have room on a wall to hang it? Do you already have 8 pair of black pants? Chances are you don't need another pair. The fewer things you have, the less you have to maintain and store! These habits can sometimes be overwhelming until you can find balance in your home. If you are having some difficulty with this aspect of organizing, contact me at audreycupo@4abetterspace.com. I am here to help. Until next time, happy organizing!